Harry is in the 1st year of his PhD studies having started in September 2018 within the DMF group. His focus is on using additive manufacturing (AM) for use with virtual-physical twinning. 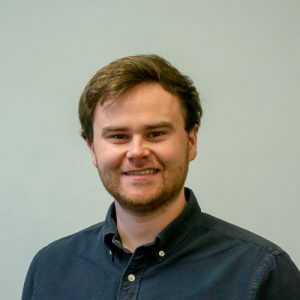 Harry has previously completed a year-long placement at Rolls-Royce Plc investigating the use of additive manufacturing for aerospace engines, and graduated from his Aerospace Engineering MEng degree at the University of Bristol in July 2018. He has also been the University of Bristol’s Formula Student team’s Team Principal and retains an advisory involvement. Outside of the office Harry is a keen motorsports and football fan, and enjoys travelling. Harry’s main research area is surrounding the use of hybrid manufacturing (additive couple with subtractive manufacturing) on the Make: By Twinning project.